A while back I was interviewed by the awesome Audrina’s Place in her ‘Music in my Writing’ schedule on Facebook. She does this on a regular basis and then let’s the author lose on her own page for an entire week to help promo your interview. I figured since it is now long past she wouldn’t mind me sharing the questions and replies and linking her page . 🎼 Q1. Hi there and welcome to this short little interview. Let’s start with a bit about you? Where you’re from? And what you do? 🦄 Hi there, I am Leanne, author from central Scotland and was raised in the highlands. I am a full-time writer and business owner 🌈(http://lianamarcel.tictail.com)🌈 who crafts and sells quirky accessories, alongside my contemporary romance novels. Bio – I am a Scottish born and bred romance writer with more than the average persons life experience. I have been a torrent of wild things, including singer in a girl band, animal rights activist and charity owner, worked in radio and offered jobs in TV. A passionate, restless soul, who has always found peace in writing, the only way to calm my fiery spirit. I use my wit and dark humour to my advantage in my works and have been an avid reader for most of my life. My influences vary, but from early life and a teen stint in journalism, I apply logic to most of my plot lines, a self-confessed research fiend, and like a lot of psychology behind my characters actions. I currently reside in Central Scotland, with my two children and Fiancée of 13 years, making waves in the book world with my signature ‘WTF moments’ I like to apply in each story, hints of humour and devastating emotional rollercoaster rides. 🎼 Q2. Do you remember the first record/tape/cd that you bought? Why this one? Does it bring back memories I’d love to know? My mum bought me Madonna’s true lies album when I was very young, I do not remember my first purchase, but this sticks out as my first. Her songs were so awesome, and I loved dancing with a hair brush in my bedroom pretending to be her. I loved the song ‘La Isla Bonita’. I am sure I was only 5 years old and even now, I hear that song and I am back in that pink bedroom. 🎼 Q3. Is there a song that could be the theme tune of your life or your personality? Is there a song that is the theme tune for any of your characters’ lives? My theme song is a Kelly Clarkson song – Invincible. It is both about my past and my personality. It speaks to me in so many ways and I just feel like it should always be my theme tune. All my books have playlists and themes tunes for each main character. In Carrero 1,2,3 – Emma shares my theme tune in the last book, but each book changes, due to where the story is. In Carrero 4 and 5.. Sophie has the song Warrior, by Demi Lovato, but that will change in book 6. 🎼 Q4. In your books do your main characters have favourite songs or musicians? In my first three Carrero books the two main characters pass each other songs for the duration, as a form of communication. You learn that Jake is a lover of Rock and Rock pop, whereas Emma seems to sway to Avril Lavigne songs. 🎼 Q5. If you’re romantically involved, or have been in the past Do you have an “Our Song” one that takes you back to a certain moment? We don’t really have a song that is us. We have never really chosen one, although my fiancee said a dance song called ’Angel’ always made me think of him. All my couples have songs. 🎼 Do any of your characters have a song? Emma and Jake –It’s featured in the books twice. Daniel and Leila – Featured in book 3. Sophie and Arry – Featured in book 5. 🎼 Q6. When did you decide to write your first novel? Tell me a bit about the inspiration, process and of course the book. I have written since I was very young, all through high school and wrote my first novel at 15, which was Just rose, but it was not my first published novel – that was The Carrero effect. I was offered publishing at 17, which I turned down – so very stupidly. I was inspired to come back to writing by the Fifty shades books, but not because of any real reason. I just saw a woman who self-published her own books and made it big. She got her books out there, wrote about topics she wanted to, and I knew I wanted to try again. I had no fear about taking a chance. I just wanted to share my stories. 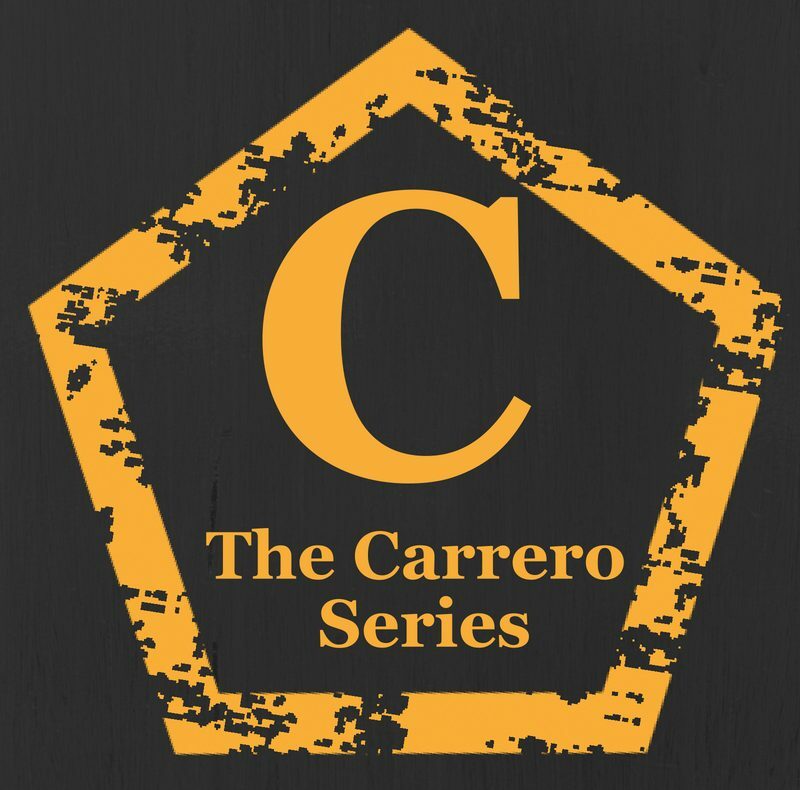 I wrote the Carrero books as a way of self-healing I guess, they are based on my life, things I know, experiences and pains, and I just sort of mixed them all up into one coherent storyline. The books are all based in the scars of damaged girls. In books 1 – 3 Emma is a girl from a more violent background, some sexual abuse but mainly violence. Her scars have left her closed up, unable to trust men and very self-reliant. She is promoted to work as PA for the head man of the company, Jake Carrero and he literally winds her round. Through friendship, trust and caring. It’s a love story of epic proportions. It leads into the next two books, focusing on a girl Emma save sin book 1 and the relationship with Jakes brother. All the Carrero books have characters with layers and scars that affect everything they do. 🎼 Q7. How do you write? Do you plan or take it as it comes? Have a favourite place or time for writing? I am a write as I go person. I will get the inkling of a story and let it mull in my head for a few days before I sit down. I normally, by then, have an idea of a start, middle, and end, and I just wing it as I go. I research as I go too. Rarely will I ever plan and this works for me. I only write in one place. My desk in my art room. It’s my haven and I can only think when I sit there. 🎼 Q8. Do you write to music or prefer silence? Do you think that music can inspire a scene or feeling within your writing and your characters story? I write differently at various stages. First draft I throw out the whole story in complete silence. I will then go and compile a full playlist to match every part of the book. I will then play the songs at the right parts of the book as I work through again and add in some more detail and padding. I do the same for a third go through, although I will just leave the playlist on repeat and not be so specific about the scene matching up. 🎼 Q9. What song would you like played at your funeral and why? Probably something from one of my favourite singers. Pink, Kelly Clarkson, Christina Aguilera. I have never chosen a specific one, so maybe a montage of songs from them all. I have always used music, through my life, to cope and heal. There are so many which speak to me or about me. 🎼 Q10. What are your Top 3 Songs of all Time? The ones you can’t live without? 🎼 Q11. Would you like to read aloud your favourite passage from one of your books? I am a terrible reader; my accent makes me sound like I trip over my words. I would not put your followers through that pain. My favourite passage is actually one of my own. The Carrero Heart (book 5) Arry and Sophie, when he gives her an anniversary gift of a commissioned necklace. 🎼 Why is this your favourite? This couple have special significance to me, and the love he shows this girl is unparalleled. He is the bandage to her scars, and she is the missing part of him. He sums it up by telling her early on that she is a uniquely shaped puzzle piece, that found its perfect slot – in his heart. This passage is near the end of the book when he reminds her of that with a gift. 🎼 Q12. What are you currently working on? I am currently working on The Carrero series book 6, the finale to Arry and Sophie’s trilogy. The book all my fans are waiting on.